+ Add Smooth Bezier knots function. + Remove spline Align tool. Hybrid Align points now is in PointsTools script. Unzip and copy folder “Scripts” to your MAX folder “Scripts”. 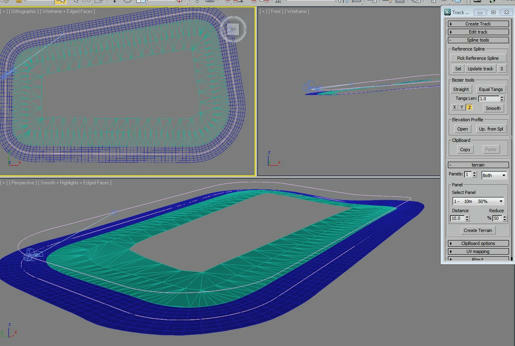 The script is in “3ds Max\Scripts\Trackmaker”. If you want do add the script to a menu or toolbar go to “customize user interface” and look for “Category:MMtools” and drag into a menu or toolbar. 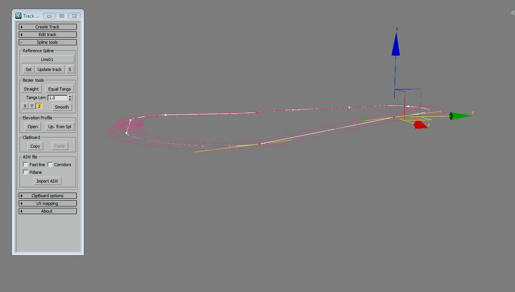 Select two bezier vertex and press “Straight Line” button several times until get a straight line. Select two bezier vertex (start curve and finish) and press “Equal Tangs” once. Then change the value “Tangs Lens” until you get to obtain the desired curve. + Fix bug when select last and first crosslines.